In a series of experiments conducted in the early 1900s, Ivan Pavlov showed that dogs could be conditioned to salivate every time they heard a bell. His studies were a major discovery in behavioral psychology because they showed that specific stimuli could be used to anticipate behavior. This has since been referred to as classical conditioning. The behaviorist movement that emerged in 1913 was largely informed by Pavlov’s studies. “Give me a dozen healthy infants, well-formed, and my own specified world to bring them up in and I’ll guarantee to take anyone at random and train him to become any type of specialist I might select – doctor, lawyer, artist, merchant-chief and, yes, even beggar-man and thief, regardless of his talents, penchants, tendencies, abilities, vocations and the race of his ancestors”. Pavlov’s studies were a huge contribution to the classical conditioning theory because they showed that it is possible to control behavior. Indeed, it is now a commonly accepted fact that by rewarding positive behavior, you reinforce it, and by punishing negative behavior, you suppress it – the “carrot and the stick” theory of motivation. As is often the case, however, things are not always black and white. 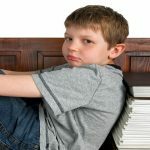 A growing number of researchers now argue that negative reinforcement is much too often mistaken for punishment and that this can have negative consequences that far outweigh short-term gains. Several studies have also found that positive reinforcement used negatively can do more harm than good. 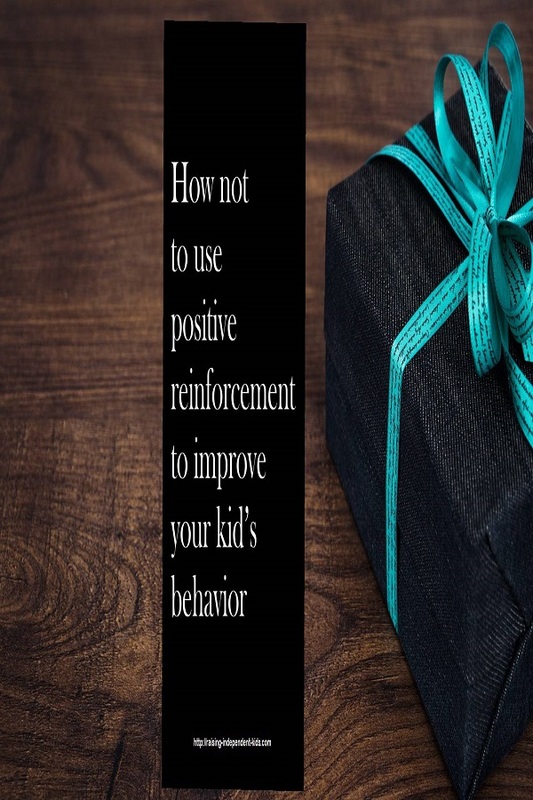 Positive reinforcement, however, remains an effective means through which to shape behavior in the childhood years and beyond, if done right. 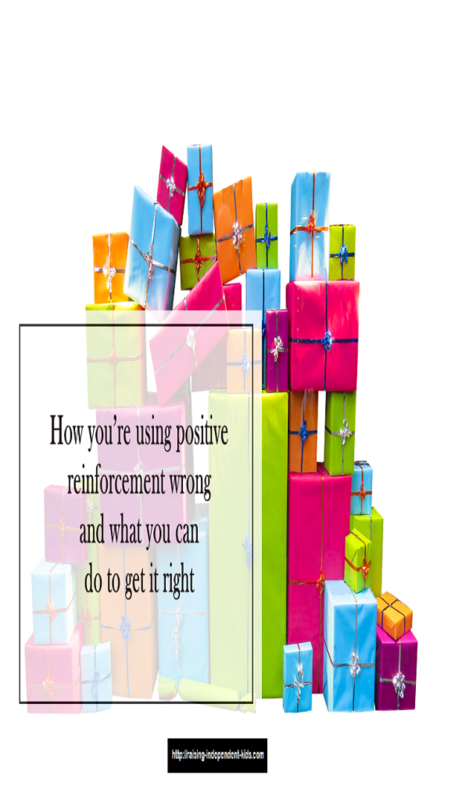 So how do you get positive reinforcement right? 1) Clearly define the behavior you’re trying to change. 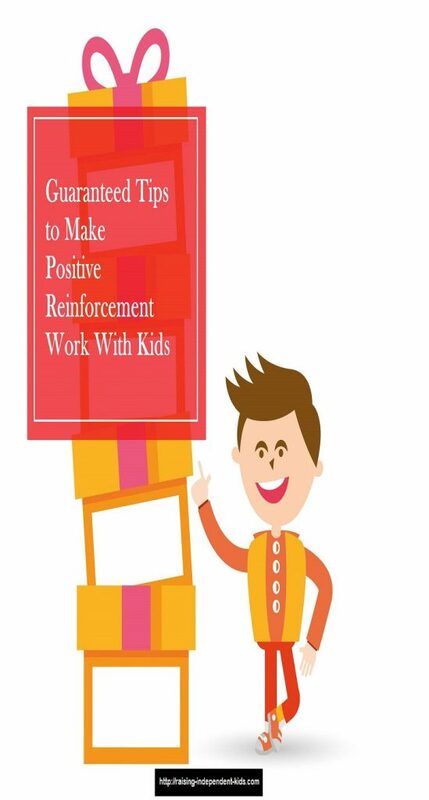 The objective of positive reinforcement is to reinforce a specific behavior. The first step is, therefore, to clearly determine the behavior you would like to reinforce. “Tidy up” does not necessarily mean the same thing for you and your child. It might be clear for an adult but less so for a child. Being specific helps you identify what (and when) you can use positive reinforcers. For example, knowing that you want your son to “put away his toys in his toy bin every day without being told” is specific, makes what is expected of him clear, and makes it easier for you to define your strategy. 2) Stop saying “great job”. You’ve probably heard this one over and over again. In the same way that’s important to be specific about the behavior you would like to change, the words you use to reinforce your child should be specific. 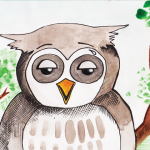 Being specific lets your child know exactly what he/she is receiving praise for. The praise should be tied to the behavior you’re trying to reinforce. For example, when your child tidies up his room by himself, you could say “thanks for putting all your toys in your toy bin without me having to ask” instead of “great job!”. 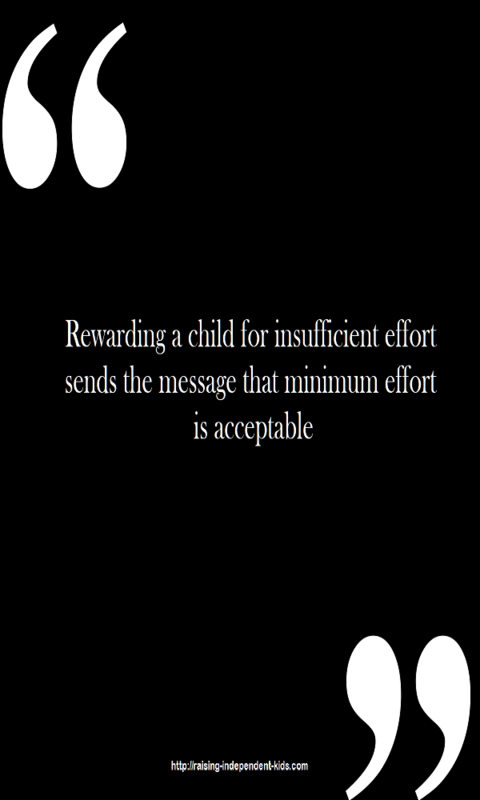 3) Praise the effort, not the child. 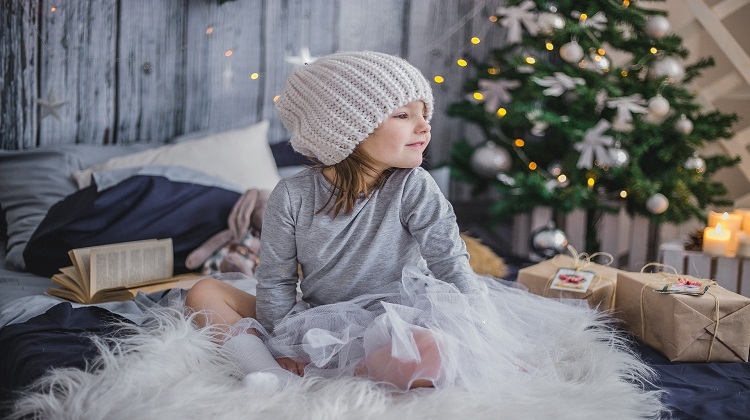 According to the Stanford psychology professor Carol Dweck, it is important to praise children for processes (that was a clever strategy you chose) rather than link the praise to the personality (how clever you are!). She argues that children are more motivated and more likely to take on challenges when they are praised for processes (persistence, focus, strategies). Dweck’s studies have also shown that children who are told they are “smart” when they do “something smart” start to believe they’re “dumb” when they do “something dumb”. This is also why it’s a good idea to focus on actions (what the child did) rather than on your emotions (how you feel): instead of “I like that you brushed your teeth”, you could try “you brushed your teeth without me having to remind you. Thank you.” Focus on the actions and the effort. Some studies have found that praising children without thought can have adverse consequences: according to Mueller & Dweck, false praise can affect children’s mindset and reduce their interest to take on challenges. Meyer has also found that children who receive false praise learn to associate praise with failure. A third study by Grusec has found that inappropriate praise can lead children to develop immunity to praise. 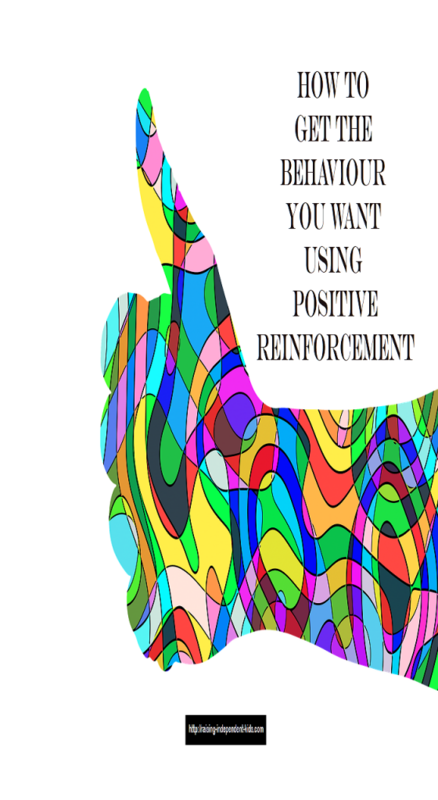 There is much consensus that positive reinforcement is most effective when it occurs immediately after the behavior because there is a stronger connection between the behavior and the reinforcement. When long periods elapse between the behavior and the reinforcement, there is also the risk that different behaviors will be accidentally reinforced. Behavior is more likely to be reinforced when your child values the reward he/she receives. Children are not all similar and something that works for one child may have no impact on another. Material reinforcement can also have a great impact but it’s important to choose rewards that are neither too expensive not too time-consuming. A reward chart can also help keep your child motivated. 7) Be attentive to frequency. It is widely accepted that when working on a new behavior, praise should be frequent and enthusiastic. However, you need to introduce a delay between the behavior and the reinforcer when the behavior is established. 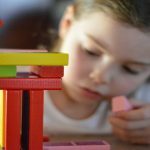 According to the UTAH guidelines, using an intermittent schedule can help maintain a newly acquired behavior by keeping your child guessing when the next reinforcement will occur. 8) Reinforce positive behavior, ignore bad behavior. Differential reinforcement has been found to help reinforce positive behavior and to suppress negative behavior. It refers to reinforcing one form of behavior while ignoring negative behavior. 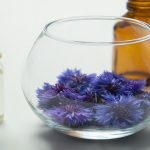 The first step is to identify the behavior you want to increase, and the behavior you want to suppress, then determine how an appropriate behavior that suppresses the negative behavior will be reinforced. For instance, you can provide positive reinforcement each time your child “draws instead of throwing a tantrum”, or “shakes hands instead of hitting”. As can be expected, ignoring misbehavior is no easy feat. It is important to think of this approach as a long-term strategy, especially because bad behavior is likely to increase when you first ignore it. Avoiding eye contact, keeping silent and moving away can help you ignore negative behavior when you attempt differential reinforcement. Have you clearly defined the behavior you want to change? If you would like your child to put his/her toys away, are your expectations specific? Where exactly should he/she put toys and when? Reflect on how you use praise. 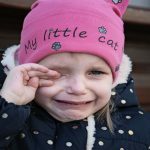 Have you been guilty of using “good job” and “bravo” to reinforce your child without giving it too much thought? Next time you want to praise your child, think of praising the effort. If you need more information, click here to check out my reviews of different books.